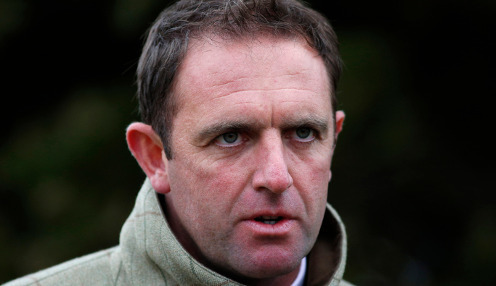 Charlie Appleby is enjoying a ground-breaking season and the Newmarket handler feels Old Persian is a genuine contender to win the final British Classic of the term this weekend. Old Persian will carry the Godolphin blue into Saturday's St Leger at Doncaster, looking to add the yard's Epsom Derby win with Masar earlier this summer. Old Persian is trading at 8/1 to seal victory in the world's oldest Classic and the Dubawi colt has gone from strength to strength this season. He's got four wins from six starts, including the King Edward VII Stakes at Royal Ascot and, most recently, York's Great Voltigeur Stakes. His only lacklustre run came in the Irish Derby in June, a race his trainer was happy to forgive. Having turned over Kew Gardens, receiving weight, at York last month, Appleby feels his colt has a live chance on Town Moor this weekend and he suggests there may still be more to come from Old Persian. I don't put him out there as a dour stayer but he's a strong galloper and he wasn't for stopping in the Great Voltigeur, I think the trip will be well within his realms. "He really stepped up at Ascot when winning the King Edward. He had a progressive profile coming into the race and he's a typical Dubawi in that you never quite know when you're going to get to the bottom of them," said the trainer. "We weren't disappointed with his run in the Irish Derby, it was just one of those races where we knew we were backing up quick enough and the race didn't pan out as we expected. We weren't in the right position and we knew and we just put a line through that. "We got back on track in the Great Voltigeur and I thought it was a very game performance and therefore he justifies his place in the St Leger and he's certainly a live contender and he's got all the right attributes. "I don't put him out there as a dour stayer but he's a strong galloper and he wasn't for stopping in the Great Voltigeur, I think the trip will be well within his realms. Aidan O'Brien's Kew Gardens is 3/1 to win the St Leger at Doncaster while Derby runner-up Dee Ex Bee is 12/1 to give Mark Johnson the last of the Classic's for this year.